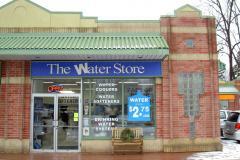 The Water Store London has been proudly serving London and the surrounding area Since 2002. We pride ourselves on outstanding customer service, convenient hours and amazing pricing. We invite you to drop into our Wellington Location and see for yourself why over 5,000 customers call The Water Store their " Favourite Hydration Station". Looking to $ave on your water purchase? Well, today is the day- last Tuesday of every month!